Instructions: Click here to view a larger photo of this project. 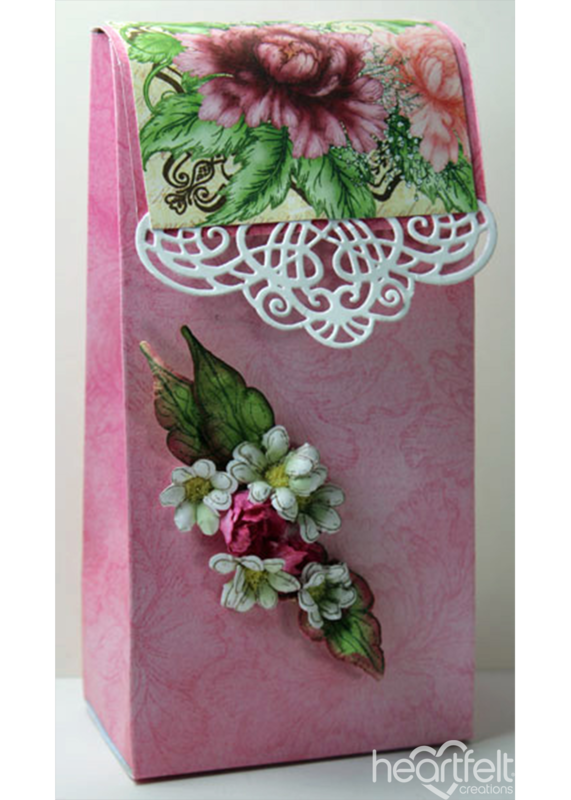 There are many instructions for making a gift bag found on Pinterest and Splitcoast Stampers. I found one and made the bag using a piece of the pretty Sweet Peony Paper Collection then I began to decorate. I used the Velcro Dots for the closure on the bag flap and then die cut one of the ornate borders dies to add to the closure. I cut a coordinating piece of cardstock and then glued down the border die cut and then glued the paper piece over that. It gives the bag a very romantic feel. I stamped the daisies using Rich Cocoa ink and then colored the centers of the flowers with Sap green. Next I shaped the flower petals with the Deluxe Flower Shaping kit and then added some glue to the center of the petals to glue down the Flower Soft. Set them aside to dry. I stamped the Sweet Peony petals with Berrylicious ink and also colored the edges with the same color. Next I stamped the leaves with Stazon Olive Green Ink. 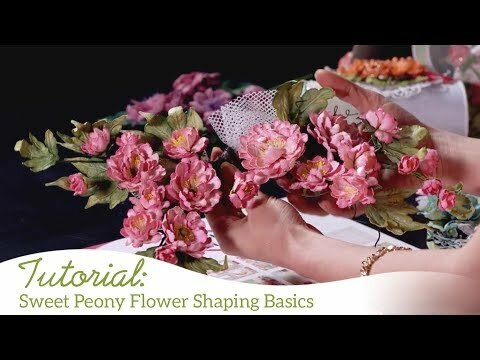 I used the Deluxe Flower Shaping kit again to shape all the leaves and petals. I created a cluster of flowers and leaves on the front of the bag and glued the pieces down. Once everything is dry the bag is finished. This makes a quick and easy gift bag and it becomes part of the gift.